I made it to the rig on Monday. I’m settling in here at my new job. So far everything is going as well as can be expected. I’m learning the ropes here. Nothings really much different on the ship itself or it’s operations. I did have a good time after all. The course was better than expected. I got a chance to look around Aberdeen after the end of class each day. The first day was spent just wandering around town. I walked down the main road til I saw something interesting. The first thing I saw was the seamans center (it was closed) and the Fishermans Mission. I stopped in to chat with the man who was running the Fishermans Mission. We compared notes on the situation in the UK and the US regarding fishermen and fish stocks. Seems things are pretty much the same. Not enough fish, getting harder to catch, much harder to make a living, more and more regulations, less and less people joining the industry. I found out the seamans center didn’t open til 1800 and planned to stop by on my way back that night. I hoped to stop by again but would have to hope to get out of school early since they closed at 1700. I wandered around the downtown area for a while. 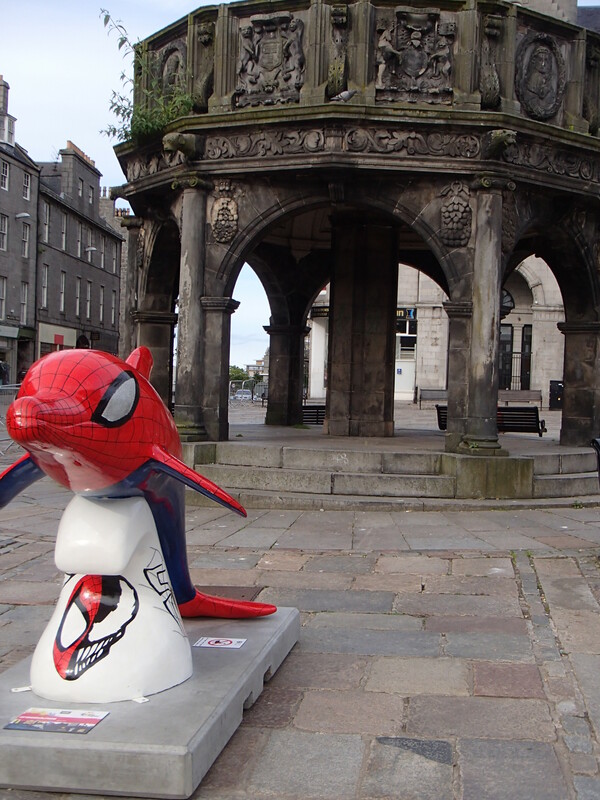 The city was involved in an art project called “Wild Dolphins“. Different artists were given ‘dolphins’ to decorate as they saw fit. You could pick up a map to follow the trail to find them all. There were quite a few scattered around town. 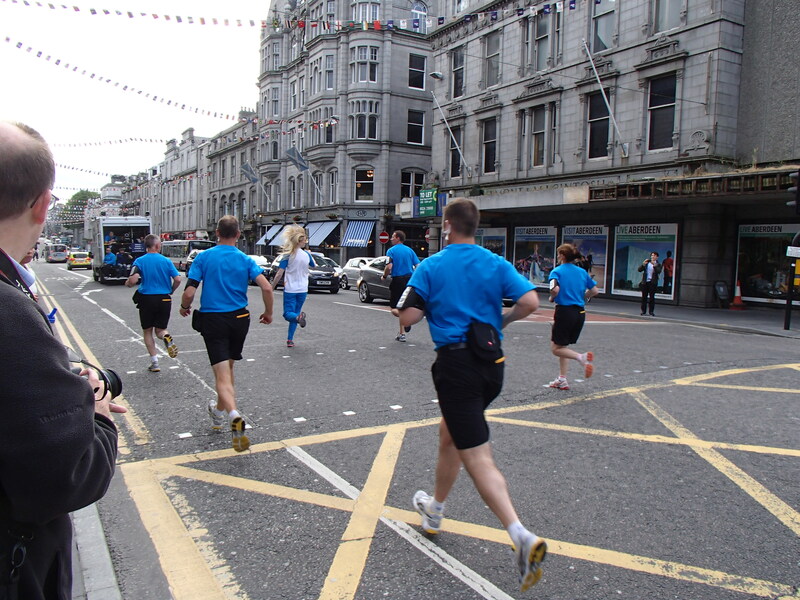 As I was gathering information at the tourist center, the ‘Queens Baton’ and its entourage came running by. Scotland was hosting the Commonwealth Games for the first time in many years so they were running around this ‘Baton’. Kind of like the Olympic torch. There was a buzz about it at our school, they were looking forward to the attention of the press. Our instructor even got to launch the free fall lifeboat to carry the torch down the River Dee while the BBC filmed the whole thing. It seemed to be a major event all over the city, everyone I spoke to mentioned it. They seemed very happy and excited about it. I walked by Marischal College and a statue of Robert the Bruce (King of the Scots). 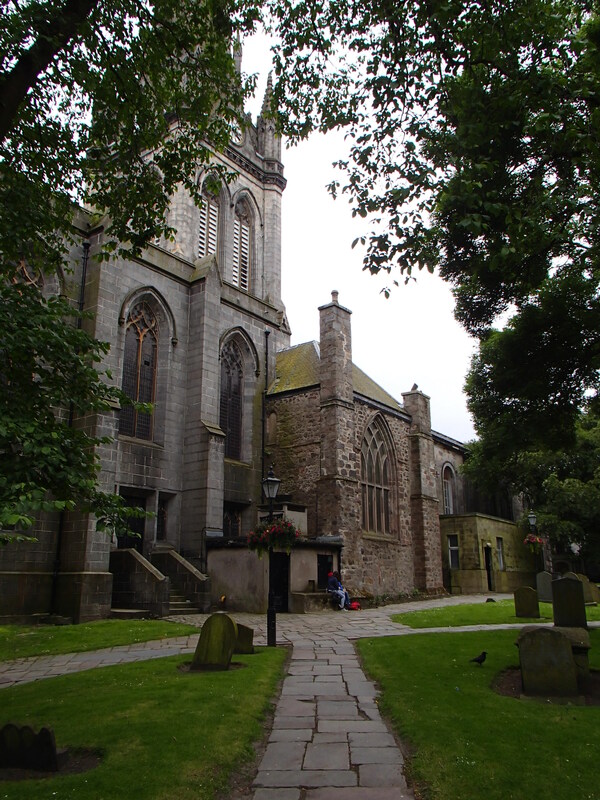 I turned the corner and discovered the St Nicholas Kirkyard. That was a pretty cool place, a quiet old church surrounded by big old trees and gravestones green with moss. I saw plenty from 1600, 1700, 1800 and even earlier. I always thought people back then died much younger, but many of them lived 60+ years (according to their epitaphs). I was getting tired and my feet were getting sore. Walking for hours in flip flops is not really the most comfortable way to do it, but I wasn’t ready to buy a new wardrobe yet and was told my luggage would arrive by the time I got back to my hotel, soooo… no shopping (yet). 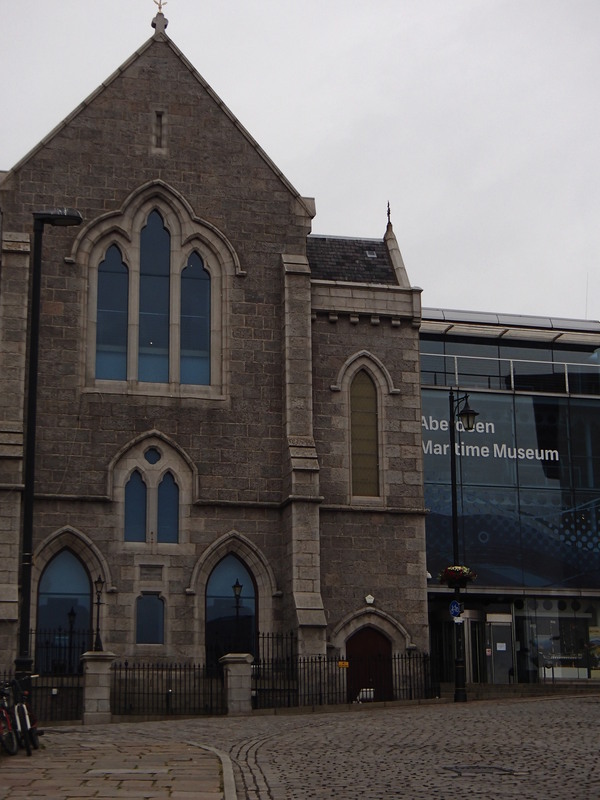 This entry was posted in art, History, lifestyle, maritime, nature, photos, things to do, travel, Uncategorized, work and tagged #Aberdeen, #Aberdeen Maritime Museum, #Aberdeen Scotland, #Around Aberdeen: Day 1, #art projects, #Commonwealth Games, #Fishermens Mission, #free fall lifeboat training, #Maritime Museum, #photos of Aberdeen, #photos of Mercat Cross, #photos of Spiderdolphin, #photos of St Nicholas Kirkyard, #Queens Baton, #Seamans Center, #Spiderdolphin, #St Nicholas Kirkyard, #things to see in Aberdeen, #Wild Dolphins, #Wild Dolphins project, art by Capt Jill. Bookmark the permalink. Yeah, it looks like a good start so far. 🙂 I am looking forward to more interesting experiences here. 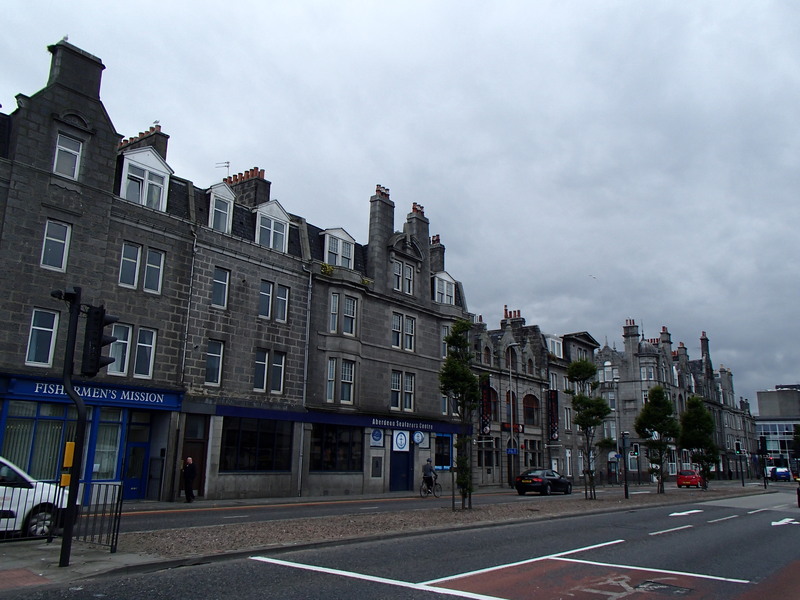 I really did enjoy Aberdeen, even without my luggage, I would have been less stressed if it had shown up when I did, but it all worked out in the end. I usually wear flip flops all the time, but I don’t usually go walking for 5+ hours a day. My feet were really sore when I finally gave up and went home to the hotel at night. I must have missed it……your working in Angola now? Is it crazy like Nigeria? What type of ship are you on now? Best wishes. Stay safe! Yes, I just got to Angola on Sunday and got offshore on Monday. I’ve never been to Nigeria so I can’t compare. All I know about Luanda is: it is extremely expensive! I was so tired when I got there, all I did was go to sleep. The agent brought us to the airport at 0600 in the morning and we flew straight offshore. I’m on a drillship now. Same as the ones I’ve been working on for Ensco and Pacific through the agencies. Now I just started working directly for Ocean Rig.